." This week&apos;s winner is "Sea Otter Pair Floating By" submitted by Michael Yang. Who can resist a lovable sea otter? 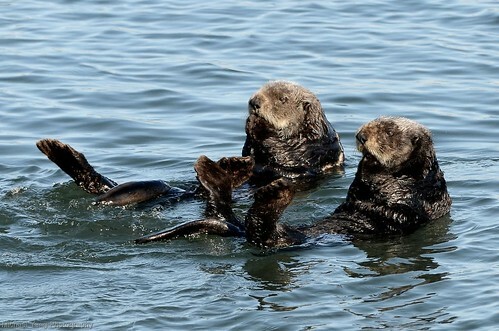 Click here to check out some of the top spots to see these fuzzy animals in Monterey County including Moss Landing and Fisherman&apos;s Wharf. See more of this photographers photos here. Do you have an amazing shot of Monterey County that you think is worthy of "Flickr Photo of the Week?" Submit your photo to our Flickr Group and you just might get picked!